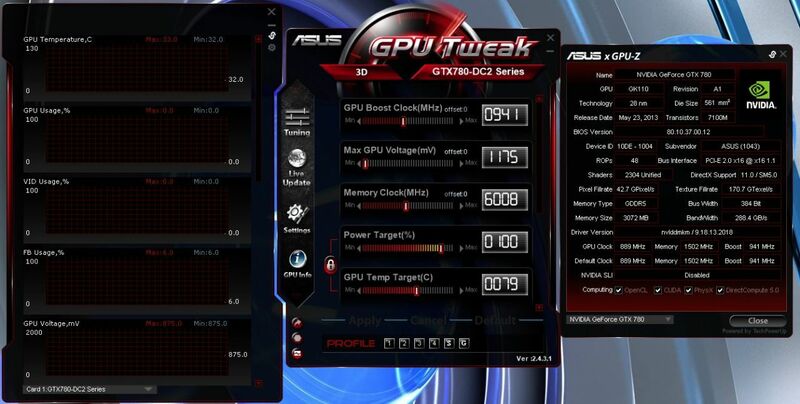 ASUS with its top end DirectCU II cards always has its special spin and tweaks to the GPUs they create. 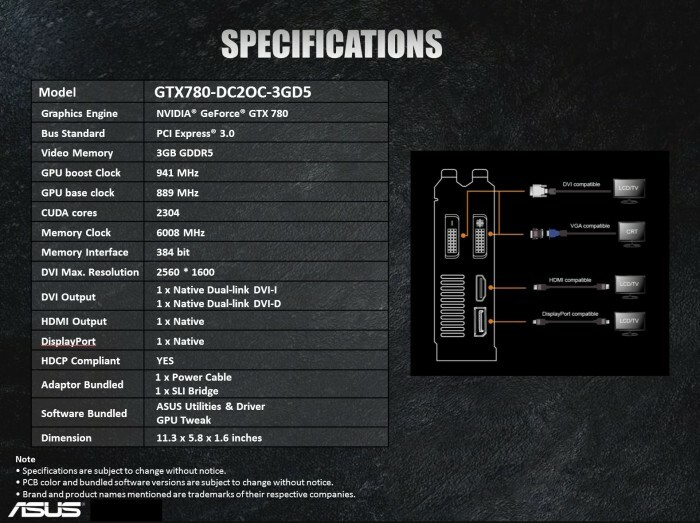 and today we have the newest on the uber high end with the GTX 780 based model which comes packed with a full custom design, cooler and components to allow for top level performance. 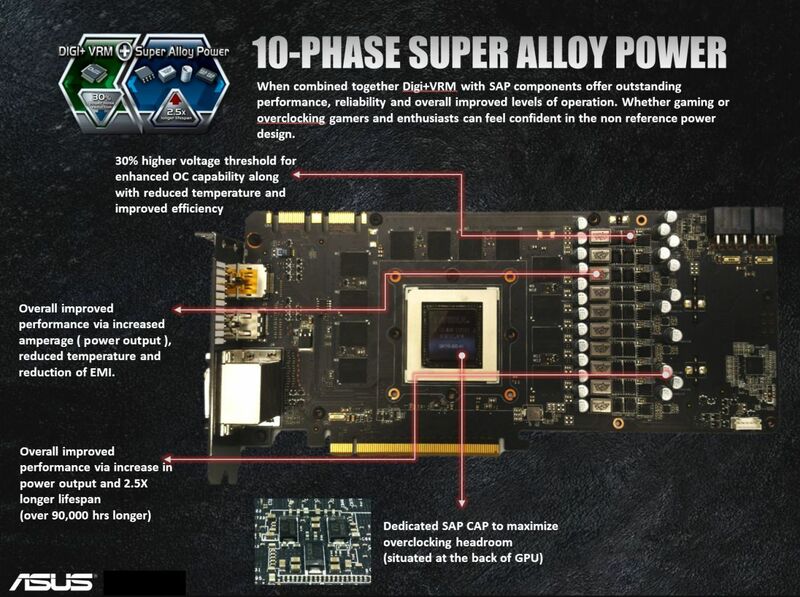 When it comes to the GPU the GK110 was originally employed on powerhouse server based processing systems designed for huge calculations and other ops where a GPU can provide huge performance. We first saw the GK110 as a consumer level part in the GTX TITAN, which was even still not the full GK110 you would see on a Tesla K20. 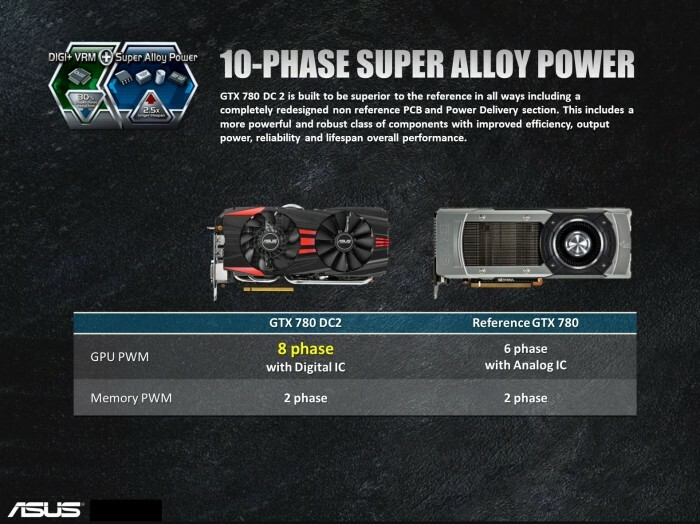 The GTX 780 sports GK110 that is just a little less than a TITAN as well; the TITAN will be the top end flagship single GPU card for the foreseeable future. The GTX 780 from ASUS comes with a nice overclock but honestly it is a drop in the bucket to what I’m sure this card can actually do. 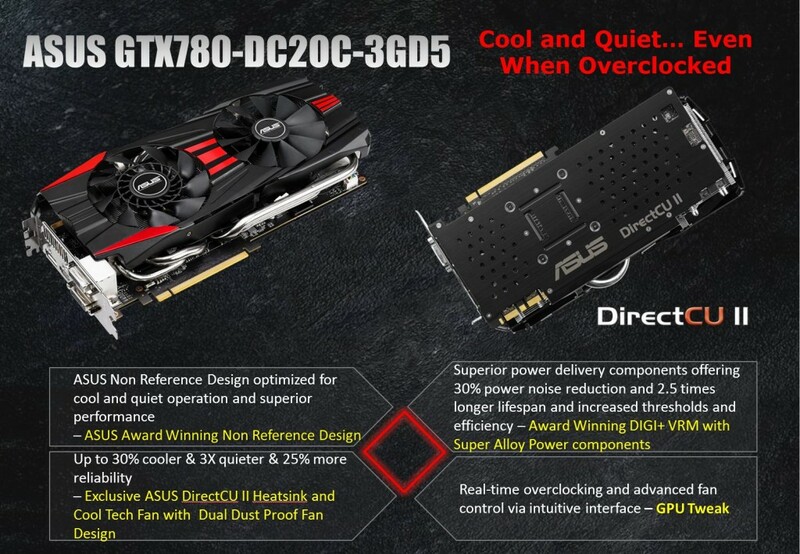 The ASUS GTX 780 DirectCU II OC comes to market at $669.99 directly from Newegg at the time of writing which is quite a surprise honestly since normally a DCII model card carries a price premium but there are quite a few models that are more expensive than this one. This means that from just the marketplace appearance this could be a definite value for those looking for a top end card, but lets take a look further as to what you get for this hefty price tag. 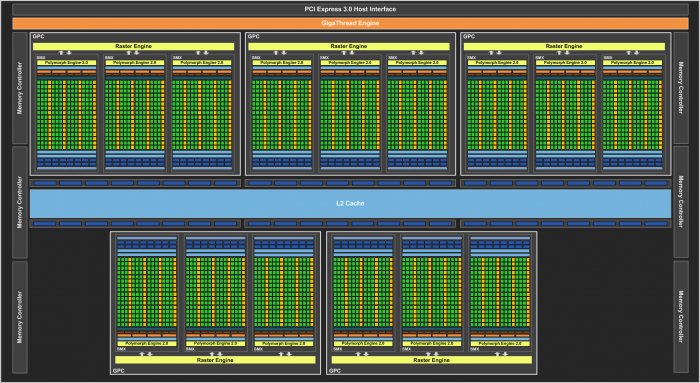 Here you see a collaboration of the top performance features which make the DCII lineup the top cards when considering a GPU purchase. 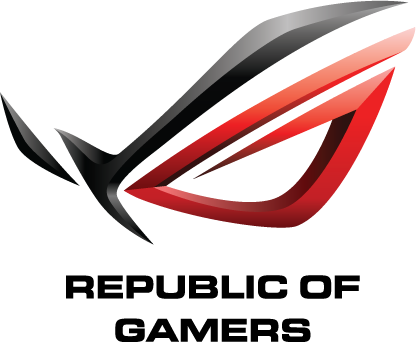 ASUS has great pride in the components they infuse into their graphics offerings, very much like the motherboards we have covered previously. 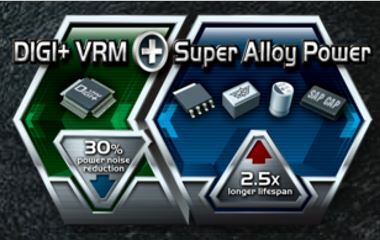 ASUS has what’s called a SAP or Super Alloy Power, which covers the components in the very VRM we are discussing. 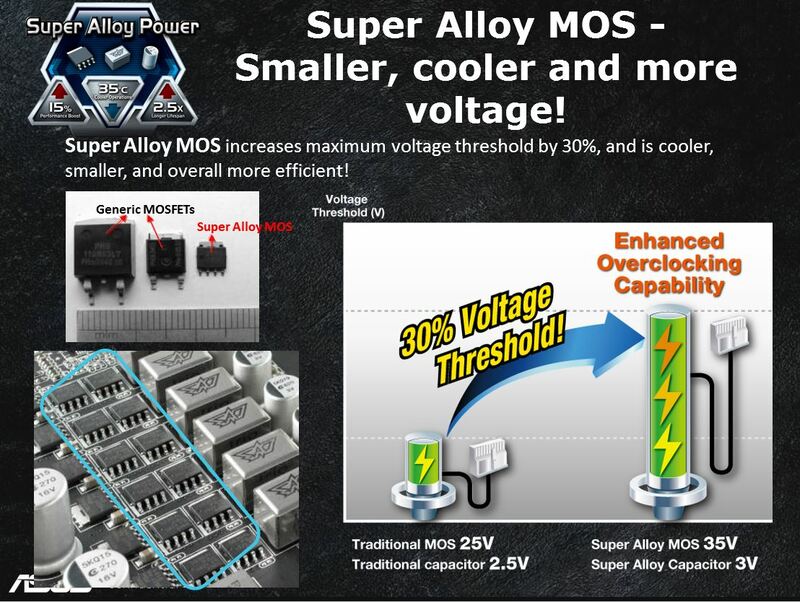 The components are hand picked for quality and performance based around not only power delivery but efficiency as well. 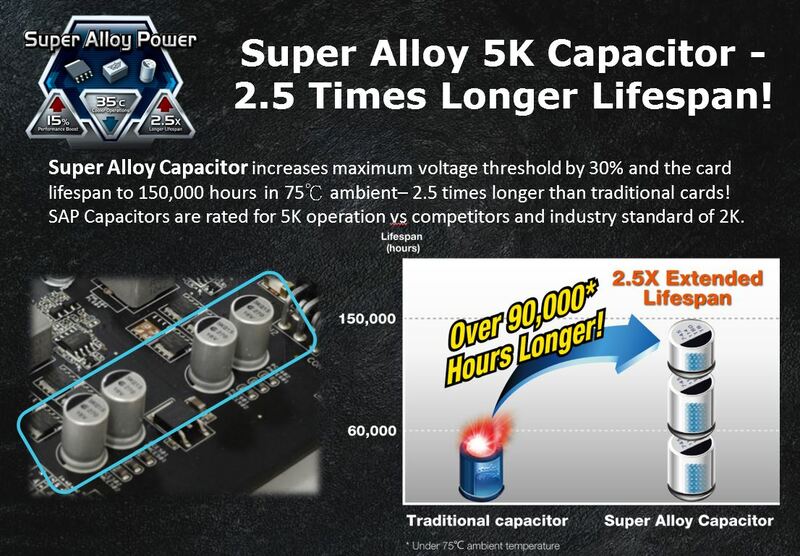 The components in the SAP solution are super durable for a rated lifespan of up to 2.5x what reference cards would offer. 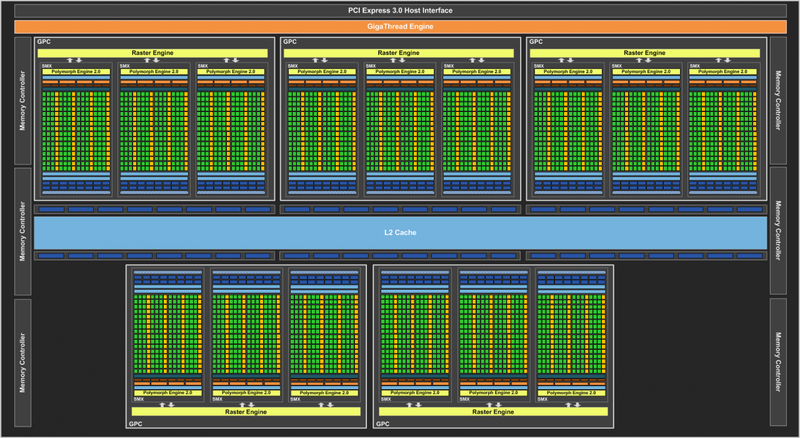 Here we see the comparison of the reference model which has a 6 Phase VRM vs the DirectCU II OC model which employs the 8 Phase solution for enhanced power capability. 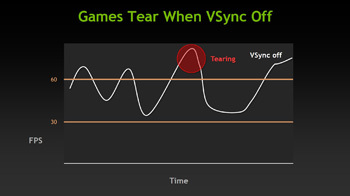 Here we see a short detailing of the SAP components and some short informational quips about how they help make for a better card. One thing here is that this is only the surface of what it is truly, as the SAP solution is a complete package of all of these components designed to work together giving not just higher power delivery than reference but also better voltage accuracy and efficiency through the digital voltage control and component selection and design. 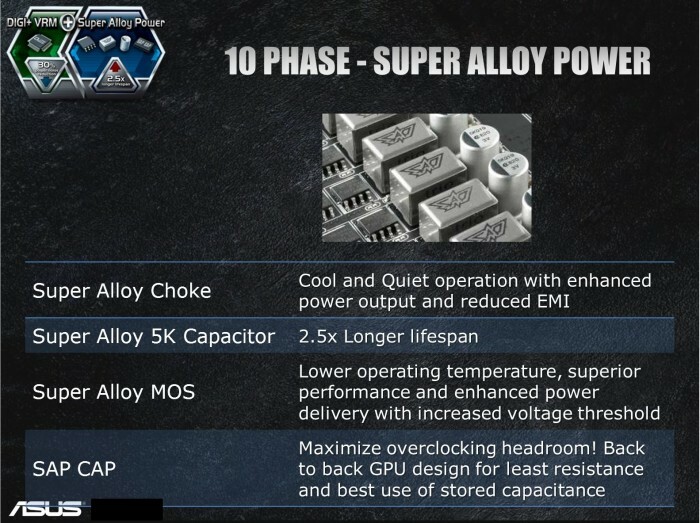 Here is where you start to get some better detail of what each component is and what itt brings to the table so to speak. 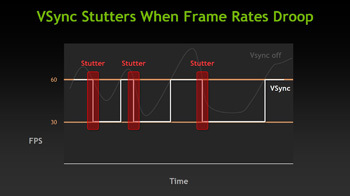 For instance the Inductors or Chokes as they are more widely known are selected for their ability to handle much higher power load while also maintaining much quieter operation as some hollow units or lower quality units you can get whats called inductor whine where when under varying loads you actually get anything from a buzz to a squeal from the unit. 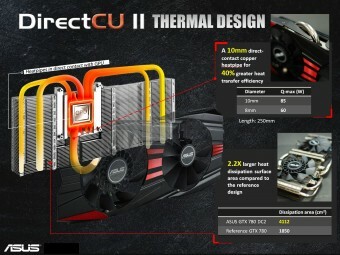 ASUS DirectCU II coolers are the ASUS way of saying maximum cooling and plenty of quiet with one naming scheme. 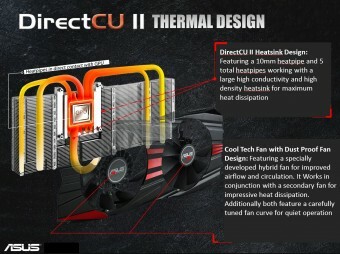 DirectCU II coolers are direct touch heatpipes to the GPU surface, ensuring the heat is wicked away from the GPU and up into the cooling fin array as quickly as possible. 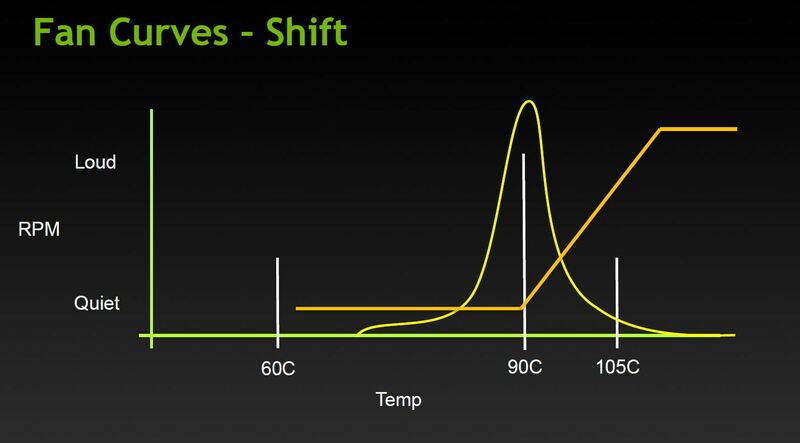 From there, the custom shrouded dual fans push air through the fins effectively but most important quietly to keep the GPU as cool as possible so hopefully it will never hit a temp to need a higher or noisier fan speed. 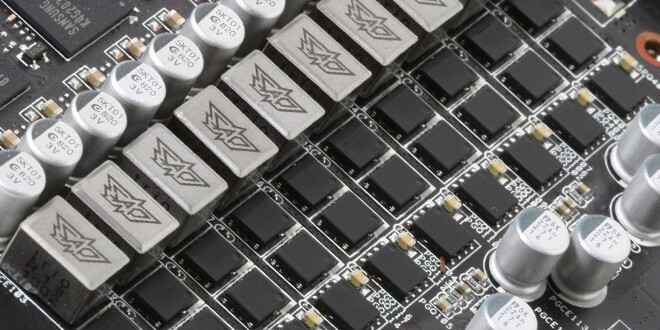 The air pushing through the fin array also helps cool board components and the VRM as well, which is a nice little added bonus to this style cooler since we all know cooler components tend to run stronger, longer and with better efficiency. 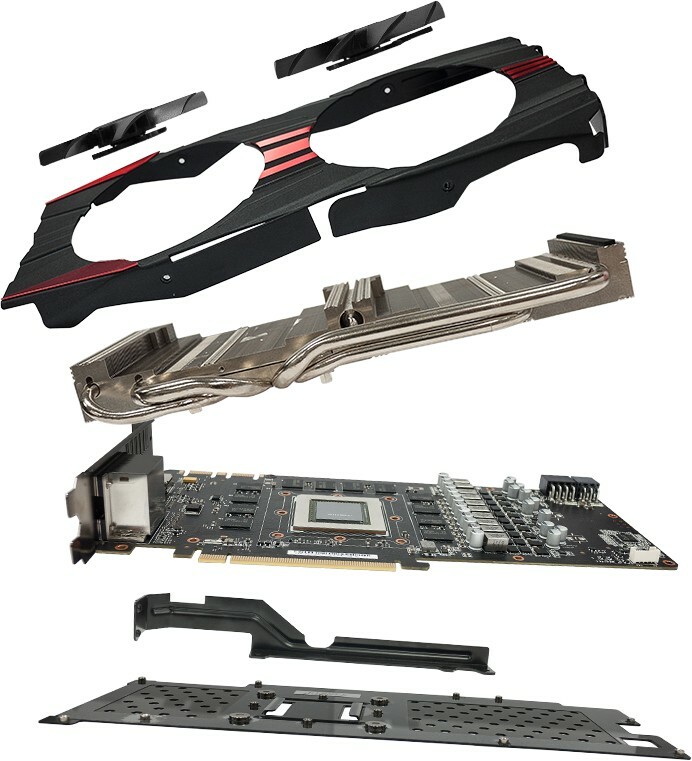 As you see above the heatpipes on this cooler come directly to the GPU and pull the heat to the large aluminum fin area where it can be dissipated to the outside air. 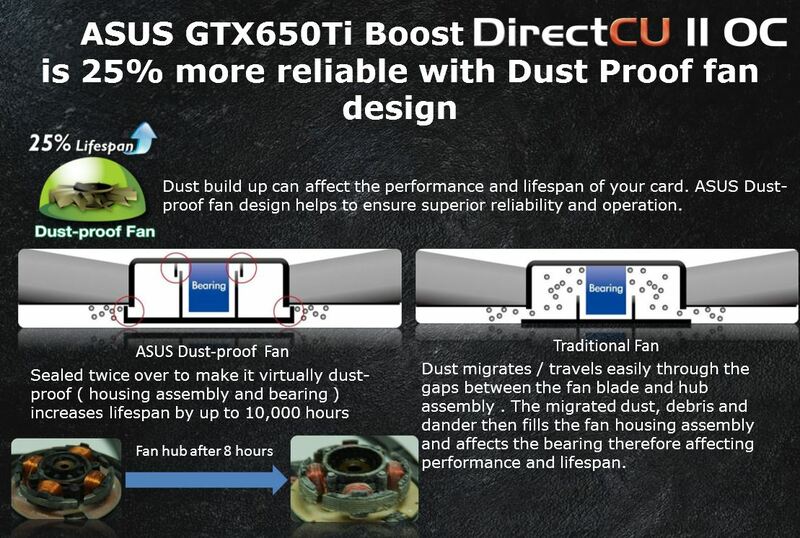 One thing worth noting is that chassis airflow to some degree is needed to pull the air exhausted by this card out since it does exhaust most of its expelled heat into the chassis directly. 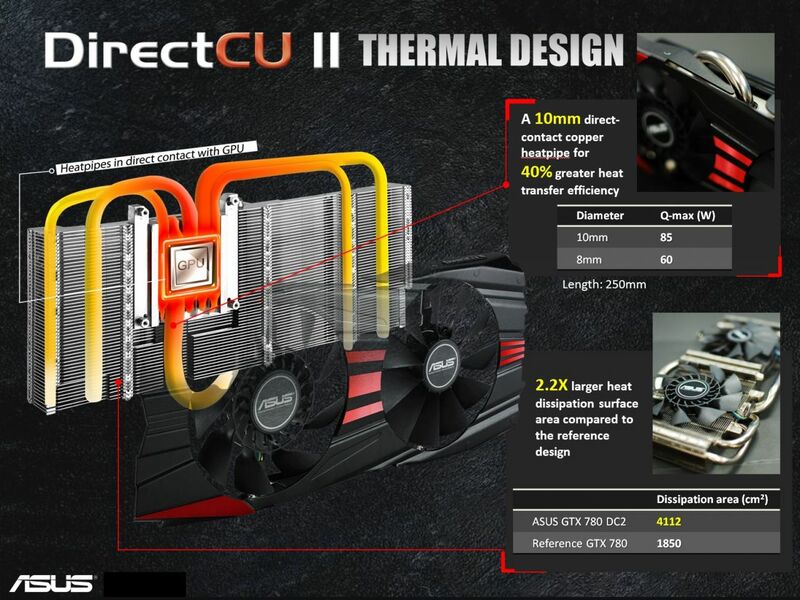 Also do notice that on this card there is a special super large heatpipe coming up around the top at 10mm and this thing is massive and just goes to show how ASUS is trying to maximize the performance from an already proven cooler design. 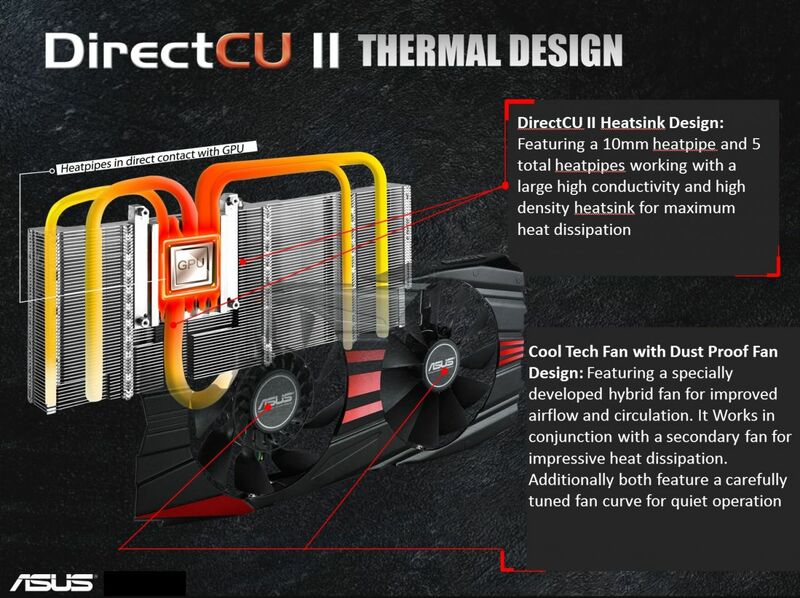 Here you can see a stylized image courtesy of ASUS showing all of the layers that make up the DirectCU II cooling solution on the card. From the backplate to bracing to PCB to cooler and fans all of it was designed to work well with the others. You would think that by now everyone would know that one of the number one killer of a fan is the dirt and dust it comes into contact with. 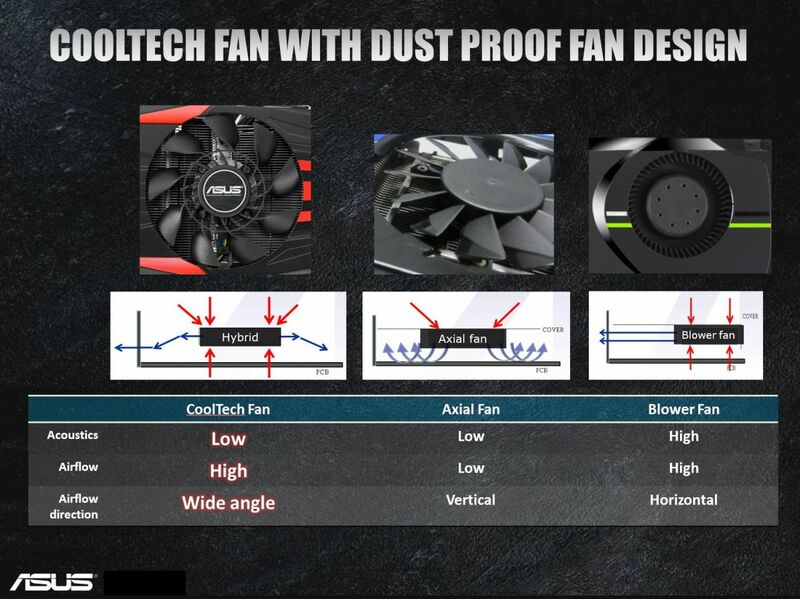 Many fans simply are not sealed in such a way that it can keep dust out and in many cases they are not sealed at all, and you can see the sensitive winding area clearly exposed just by looking at the gap. Here you can see that the ASUS solution is not just sealing the hub from dust but having 2 levels of sealing which means that over the lifespan of the cooler you can expect a much lower likelihood that you will get the grinding or simply the failing that you normally get from the unprotected fan as seen above. 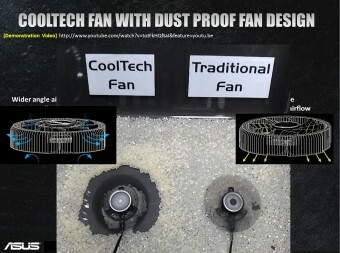 We cannot count how many times we have had a perfectly good card or cooler just to have it become useless because the fan died. 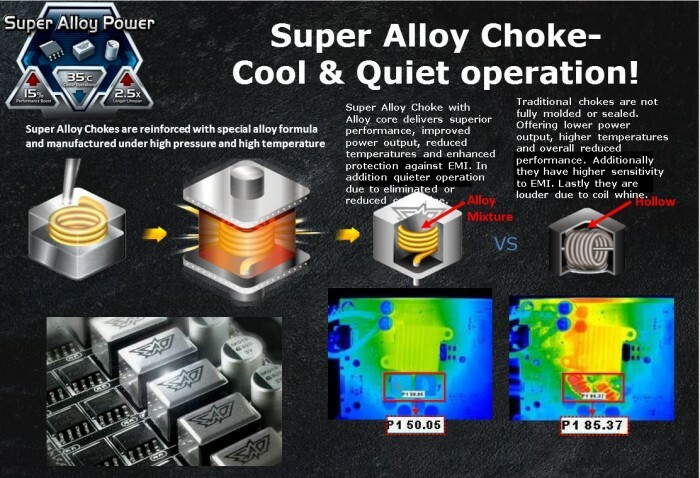 These are the kind of innovations I have come to expect from ASUS and to also clearly explain why it was done is what going the extra mile is all about. 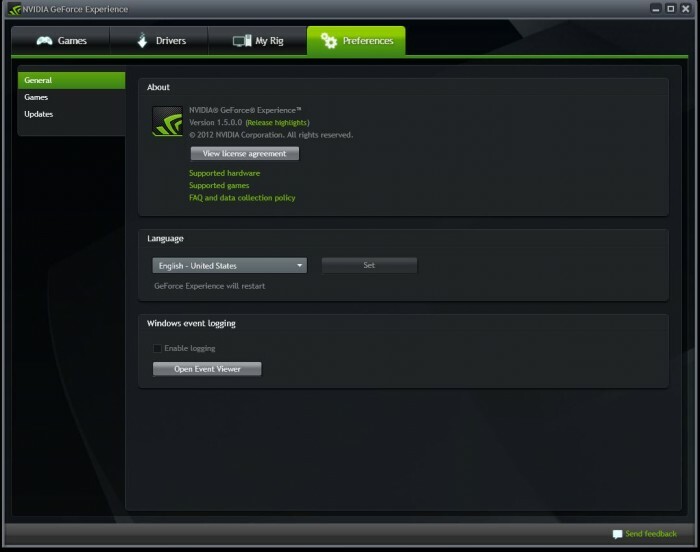 There are many tools within the GPU Tweak menus some a little more hidden than others. 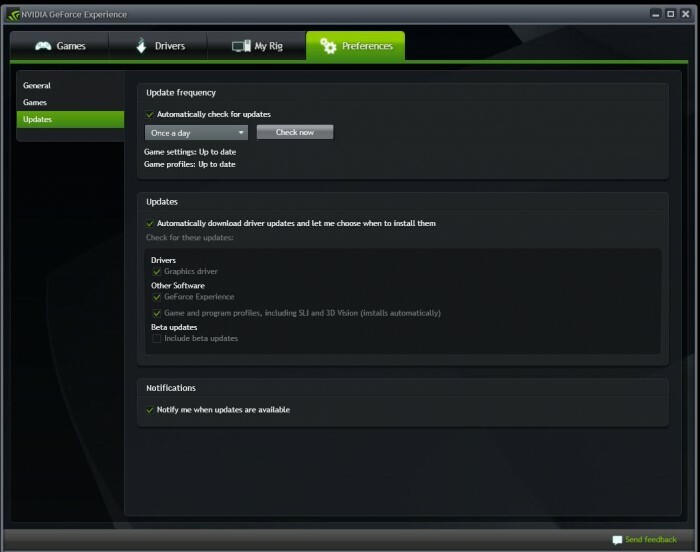 First off directly form the GPU Tweak utility itself you can check for BIOS updates and even update from within the program. 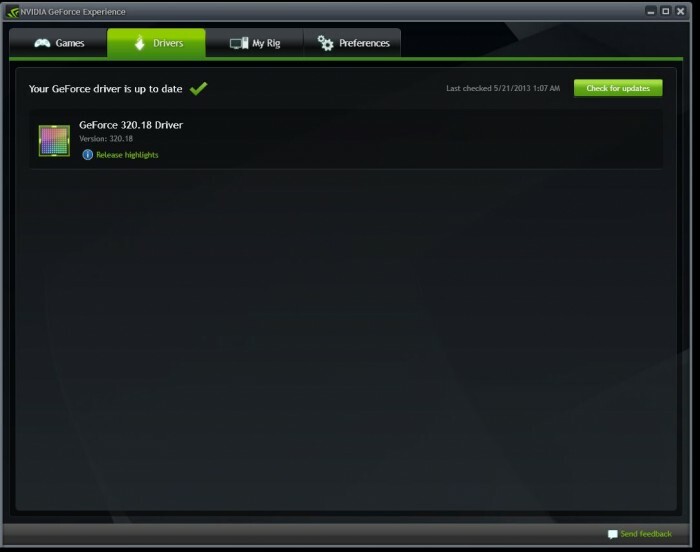 For anyone who’s ever updated a vBIOS before knows that having a tool that can do this in a mere few clicks is really handy. 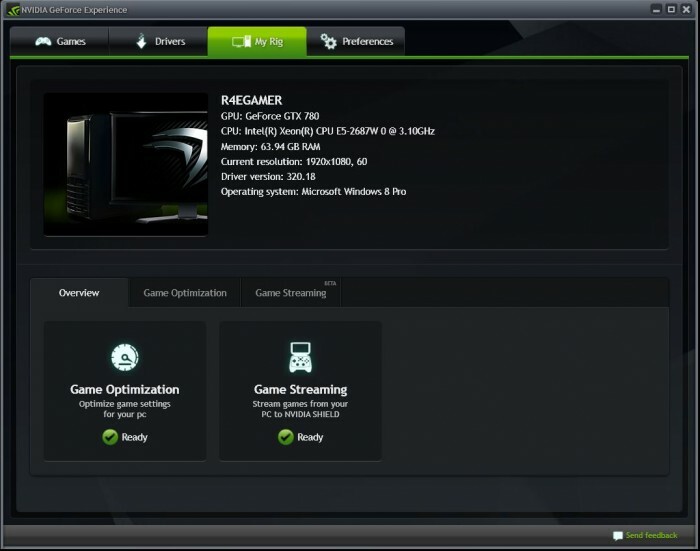 There is also a special ASUS skinned version of GPU-Z that can be accessed as seen above when pressing the “GPU Info” button. The dual greens seen above indicate everything is working well. 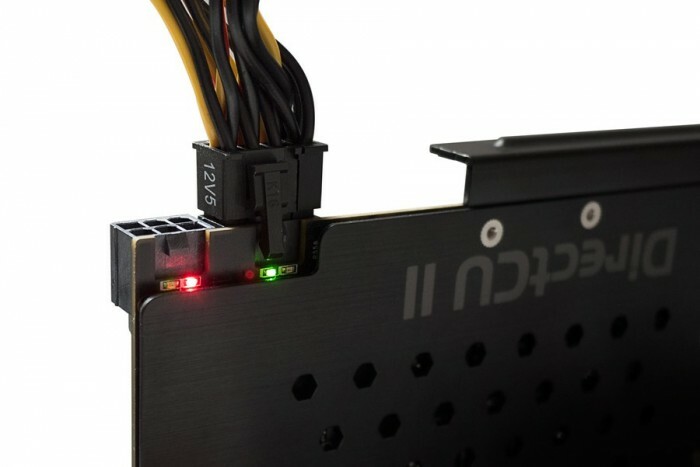 However if the PCI-E cable is not active or is not installed at all, it will give you the red light which tells you something is wrong. 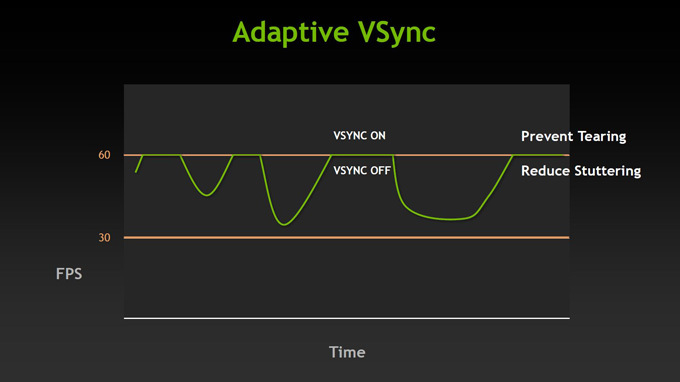 We could definitely see some value in this when diagnosing multi card setups or even single card issues. A dead PCI-E power cable could cause you to pull your hair out without these kinds of indicators. 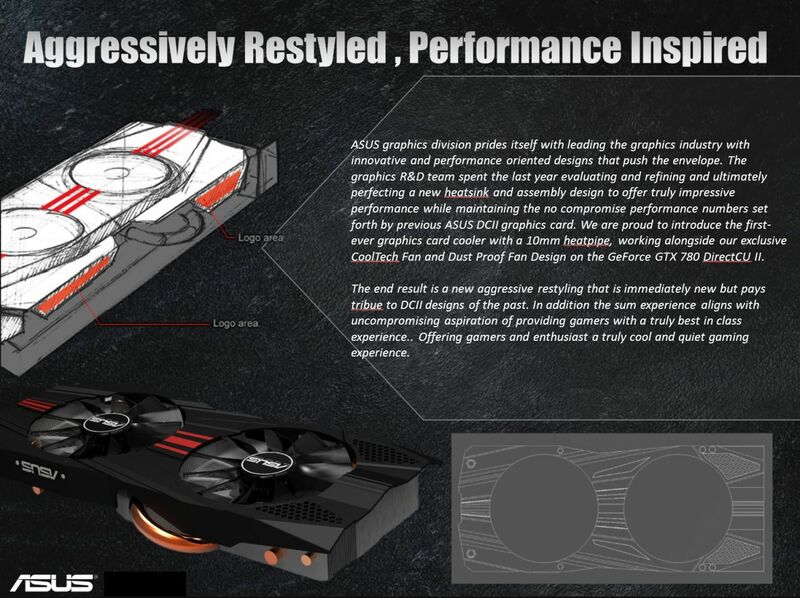 Just as we saw on the TITAN, and then the 780, the 700 series cards carry the new GPU Boost 2.0 which offers even more flexibility in overclocking and even more control over how your card runs. If you want it to only run at a max of a certain temp you simply set that in the thermal target of the EVGA precision utility and the card does the rest. However if you can live with some more heat there is potential for more performance by simply adjusting the frequency and thermal target up a little. 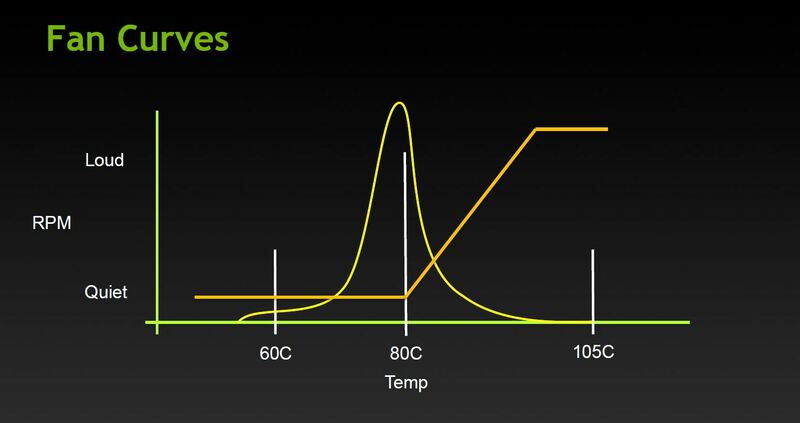 The GPU boosting function is controlled largely by the GPU temps, which by default means the GPU will boost volts and clocks up until the thermal target of 80 C is reached. 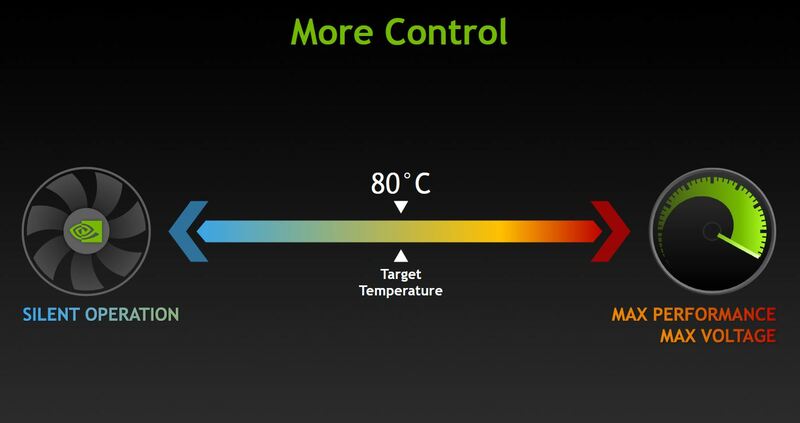 What is nice about this is that the user can control the thermal target, so if you are fine with your card loading up to 90C, you can raise the target temp to allow for even more overclock and even voltage headroom. 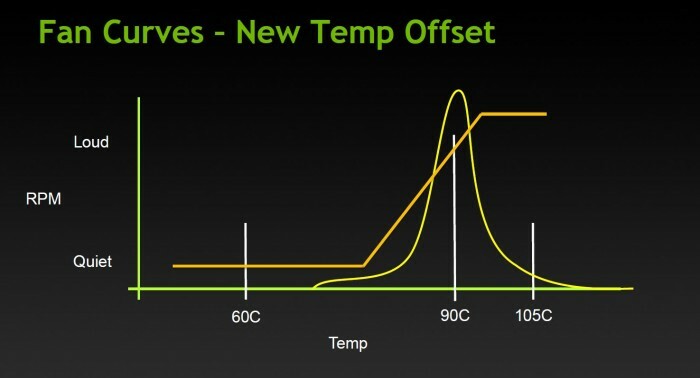 Nvidia has employed GPU boost for some time and in simple terms it allows the GPU to overclock itself in situations where there is extra thermal and voltage headroom to spare. 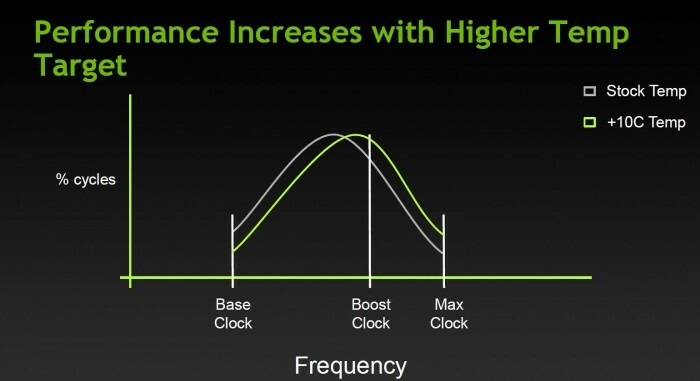 This was quite a good feature, but clocks could in some cases be rather erratic and varied greatly depending upon operating environment. 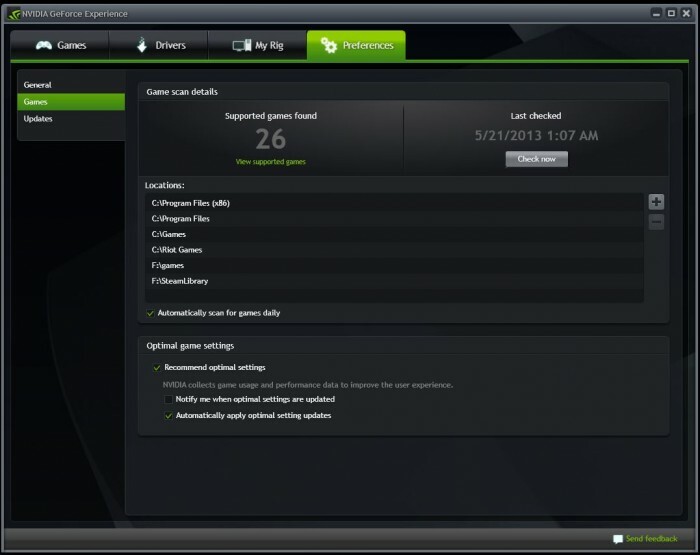 Nvidia introduced the newest iteration of the GPU boost feature in TITAN, including a new way to control your card. In the new version, boost clock and voltage levels are directly tied to GPU temps, and therefore voltages can be pushed higher than before. 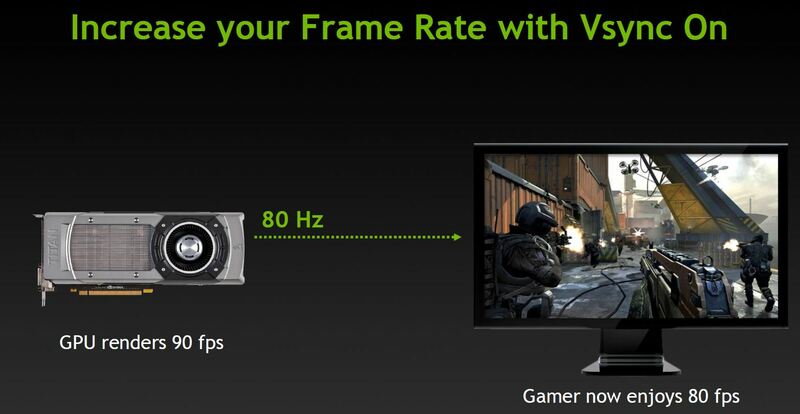 Previously, some GTX680 models did not have a lot of voltage control options. Nvidia corrected this oversight by opening up the GPU Boost 2.0 to enable higher overvoltage options. 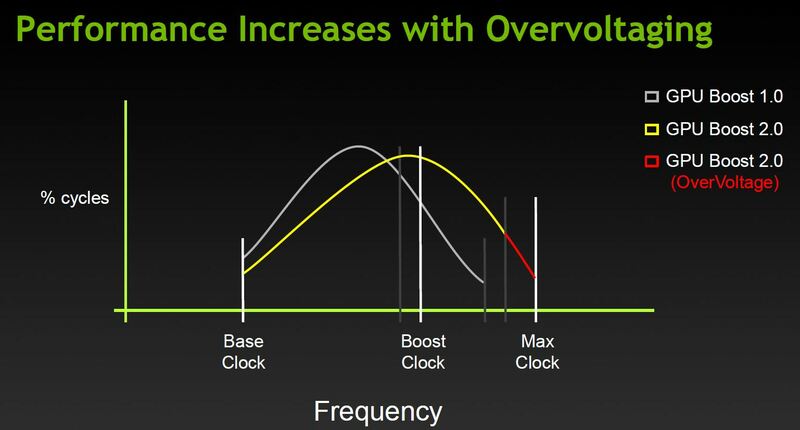 As you can see, you have the standard boost clock which can already go higher with the sliding scale of the thermal targets, and then you factor in the higher level overvoltage, leading to an amazing amount of headroom. Another cool feature from Nvidia is the ability to overclock the display, which means you can push your display to higher refresh rates for even smoother performance from a display that normally may only be at 60Hz. 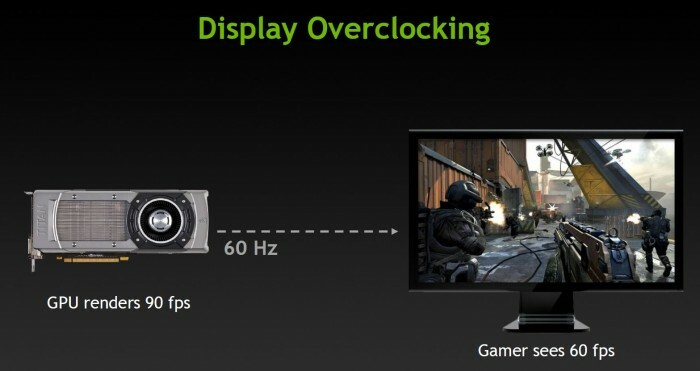 One word of caution: not all displays will support the overclock, and there will likely be a limit as to how far they can be pushed so it will take a bit of trial and error to find where your display is happy at. 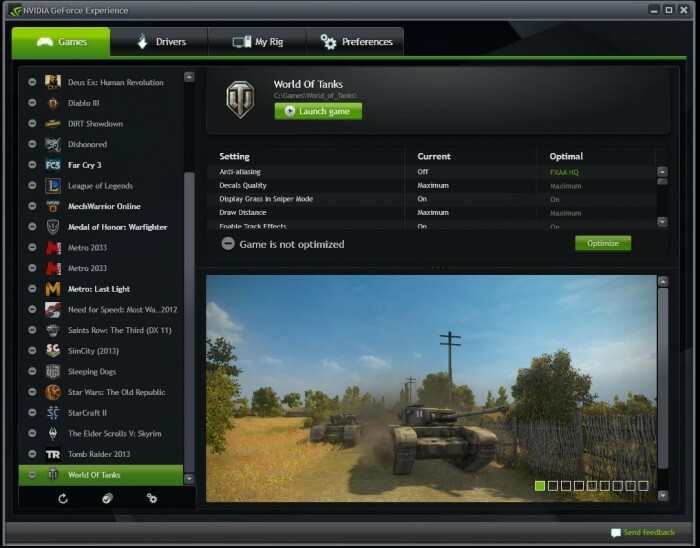 The Shadowplay software is expected to be publicly available around summer 2013, so we figure a few months and we can give this thing a run.